Procept – Aadi Defence Pty Ltd. In 2009 aadi Defence embarked on the development of a wireless system, as a replacement to wired systems currently used on Orange Aircraft, flight trials and stores release (in conjunction with cameras). The concept was to develop a wireless sensor system that functions as well as, if not better than the current wired system, could be easily and quickly installed and removed from the test aircraft without causing any damage or require any modifications to the aircraft. The 1st Phase of the project received funding in 2014, with the proof-of-concept system to be demonstrated on an AOSG PC-9 in a flight trial program in October 2015. Dr Daniel Ho is aadi Defence resident technologist. He was responsible for the initial concept exploration with DSTG-Air Division, the RAAF’s Directorate General Technical Airworthiness (DGTA), and AOSG. Daniel was also responsible in identifying the technologies and the business partners needed to materialise the vision. 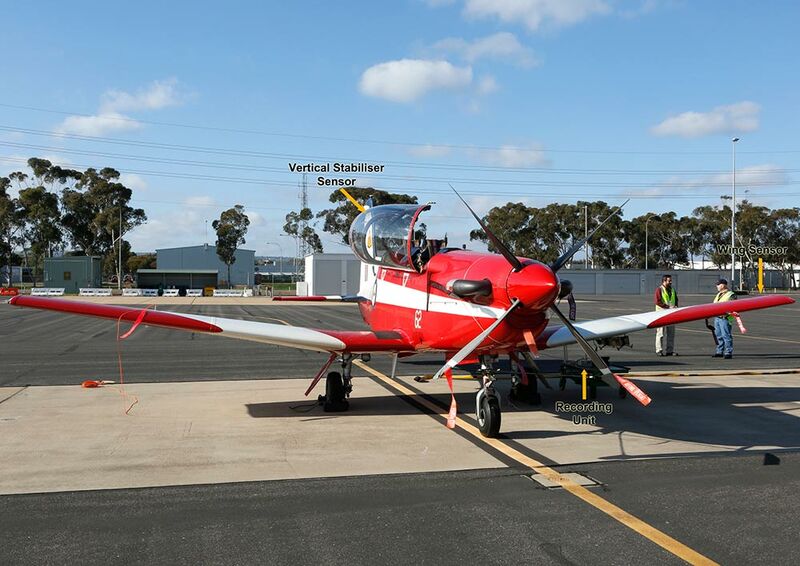 Warren Canning, apart from his expertise in business negotiations and technical engineering, is an aerobatic pilot and had worked closely with the RAAF and AOSG in previous projects. His insights as both a complex project manager and an experience pilot are invaluable to this project. As a former director of DSTG-M, Bill has unique insights into the capabilities within DSTG and the interactions between DSTG and AOSG. Given the number of parties this project involves, Bill’s insights are invaluable in guiding the project team in navigating through the complex government structures, bureaucracy, and politics. Dr. Baker is a world expert in adhesives, and is the team’s subject matter expert on this topic. AirCDRE Schmidt was the inaugural head of DGTA and remains an active member on the RAAF’s Airworthiness Review Board. He is the team’s subject matter expert on all things related to airworthiness, flight trials, stores release, and potential application of the system once developed. DSTG-Aerospace Division (AD) demonstrated the original Non-Intrusive Flight Test Instrumentation concept in 2008 and holds the know-how in the science and technique in producing an all-in-one sensor with inbuilt strain gauges. DSTG-AD is the science and technical arm within DoD (Department of Defence) that supports AOSG and ASE-SQN in their flight trials work, and is responsible for vetting the performance of the NIFTY system. ASE-SQN is the squadron within AOSG that is responsible for the technical engineering and requirements of RAAF flight trials. They are the end users of the NIFTY system, in the sense that they will be responsible for the implementation of the system based on RAAF requirements. Aadi Defence works closely with ASE-SQN in determining the functional specification for the proof-of-concept as well as testing procedures. AOSG is the group responsible for supporting RAAF capabilities. They also work closely with the USAF Seek-Eagle office (USAFSEO) which is responsible for USAF aircraft stores certification. This project is overseen by AOSG, with regular meetings help with all involved parties including the test pilot, USAFSEO representative, and the ground support crew. The seed funding for this project is provided by this Directorate, which has an interest in exploring if this capability can be advanced to the stage suitable for use on the JSF. 2010-2011: Submitted proposal into the CTD office for funding. Submission made the finals but did not make the final cut for funding. 2011-2012: Hiatus, while aadi Defence searched for a suitable engineering development partner to bridge the technology gaps.